You don’t need to hire professional pest controllers for bed bug prevention at home. It’s easy to use a do-it-yourself solution with just a few simple steps. Who needs Bed Bug Prevention? If you’ve had a bed bug infestation in the past, or if you’re concerned about a possible infestation, it’s a good idea to adopt a bed bug prevention strategy. If you think you may be at risk of a possible infestation, a few simple precautionary steps can keep those pesky little wingless creatures away for good. Barrier protection is the number one way to get instant protection from bed bugs. By creating impenetrable barriers that trap and prevent bed bugs from reaching your bed, you’re ensuring that bed bugs will never be able to reach you while you sleep. If they can’t feed, they won’t be able to breed – so you can sleep easy knowing you’ll be safe. Bed Bug Killer is a powder that you can dust inside the barriers you create as part of your prevention strategy. It’s a long-lasting, natural and eco-friendly solution that kills any bed bugs it comes into contact with. You can also dust the powder on furniture and nearby items that bed bugs could nest in. Save money – pest controllers and exterminators can be expensive and they often need to return to your home several times. DIY treatments are cheaper because you’re not paying for the associated labour costs. No harsh chemicals – natural DIY solutions for treating bed bugs, like Bed Bug Killer, mean your family isn’t exposed to pesticides and other common toxic chemical solutions used by pest controllers. Minimal disruption – rather than booking an appointment subject to availability, you can perform the treatment at a time that’s convenient for your whole family. I’m with Alex London on this one; whenever I travel I’m worried those bed bugs will sneak in my luggage and come home with me. I do my best to search the room and see if I notice any signs but you don’t always spot them. 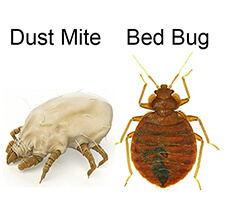 I will have to check your bed bug barrier system because it will give me peace of mind and help me save a lot of time. I’ve just ordered two Bed bug barrier tapes from you and can’t wait to get them. Your bed bug killer powder worked like a charm and put an end to bed bugs but I want to make sure I take all precaution measures from now on because I don’t want to have to deal with them again. Thanks Toby. I have heard hundreds of situations just like yours. Happy I could help. I think a barrier protection would be perfect for me. I’m a frequent traveller and have become paranoid about bringing bed bugs back to my home. I seem to spend a ridiculous amount of time checking my bags and bed. If you dont want to worry about having to constantly check for bed bugs then use our Bed Bug Barrier System for long term protection. I try to wash the sheets once per week because I like the fresh smell and it also keeps bed bugs away (or so I think). I vacuum 3-4 times weekly because I am a stay-at-home mom and I want my kids to live in a safe environment. I specifically found useful your advice about examining any suitcases taken on holidays. For some reason, I didn’t really do this but this is going to change. Thanks! Unfortunately washing your sheets and vacuuming will not stop bed bugs. The only way to stop them is to make sure you dont bring them home from travelling. Our luggage encasements will stop you from picking them up in a hotel room. Also Bed Bug Killer powder can be used as a preventative because its works for years to kill bed bugs.